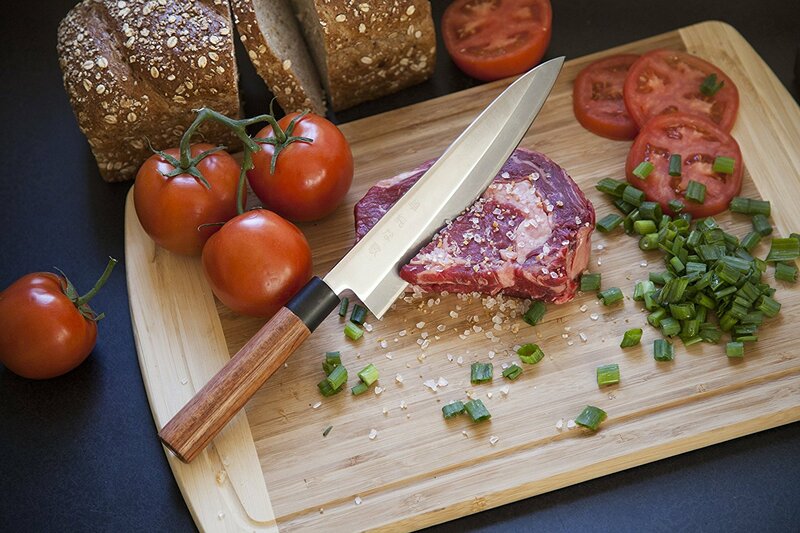 Does Your Kitchen Have A High-Quality Gyuto Chef Knife? What more can I tell you about this Gyuto knife? 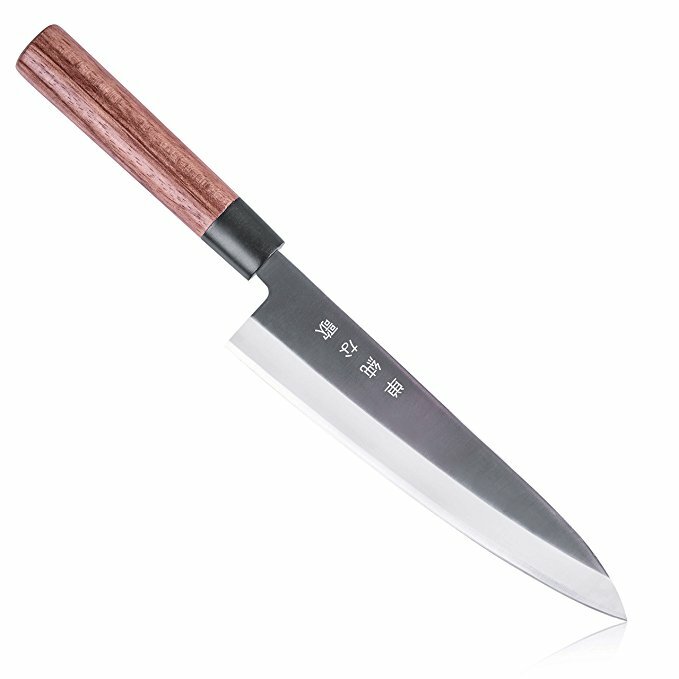 First, it is made with 420HC stainless steel that is “heat-treated for optimum hardness and edge retention while maintaining the ability to be sharpened to a razor edge.” It consists of a single, sharp bevel knife edge and a full-tang traditional rosewood handle. Oh, and it is currently 78 percent off, dropping it from an eye-popping $150 to a much more manageable $33 price tag.